Hallwang is a village directly north of the city of Salzburg. As such, a large share of the population commutes to the city; nevertheless, Hallwang has a population of a mere 3,700 souls and managed to preserve much of its rural character. This is rather peculiar, as many other communities further away from Salzburg have changed a lot more (for example Eugendorf, which was made a giant shopping mall and traffic hub). Hallwang is linked to Salzburg via a railway and has two station, one of which is already named in a way as if it belonged to the capital (Salzburg-Kasern). 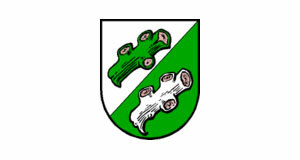 The modern name of the village was first mentioned in 1000 A.D.
Hallwang is by no means a touristy place. International visitors make it there only for the sake of accommodation. Day-trip visitors from the city often come for some hiking; for example to the Basilica Maria Plain in nearby Bergheim. The parish church with an array of old houses at the centre of Hallwang is where you can get a good impression of what a typical Flachgau village looks like (or looked like until the economic boom after WWII). In the late 19th century, a railway was built that linked Salzburg with Bad Ischl in the Salzkammergut. This railway was dismantled in 1957, but the route of the tracks is still visible in the landscape. It went through Hallwang and is now a popular cycling route and walking area. Unfortunately, cycling from Hallwang will soon get you to the commercial areas at the outskirts of Salzburg. This has harmed the appeal of the "Ischlerbahntrasse" path, but you will still see a couple of interesting details. Note the bridges of the motorway, under which you will pass - they were built by the Nazis. The Reichsadler (eagles) ornaments are still there, only the swastikas were carved out after 1945. A bit further towards the city, you will get to a Baroque chateaux with a nice chapel. It is now a high-end restaurant.